Ecological, morphological and physiological traits help us grapple with the variability of species responses to changes in their environment. Some traits are not variable across individuals within a species. For instance, the stage at which adults overwinter (egg, larva, pupa, adult), whether females lay eggs singly or in clutches, and the size of a species' range. However, many traits can show substantially intraspecific variability. Wingspan, habitat associations, local abundances, even wing color can differ across a range. In order to capture that variability, we are imposing a geographic hierarchy that gives specific guidance at what level to describe trait data. 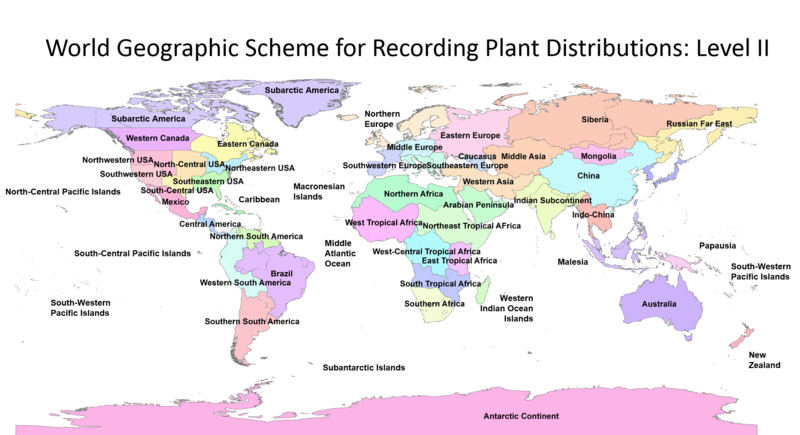 We adopted the World Geographic Scheme for Recording Plant Distributions. This scheme defines nested boundaries at four levels. 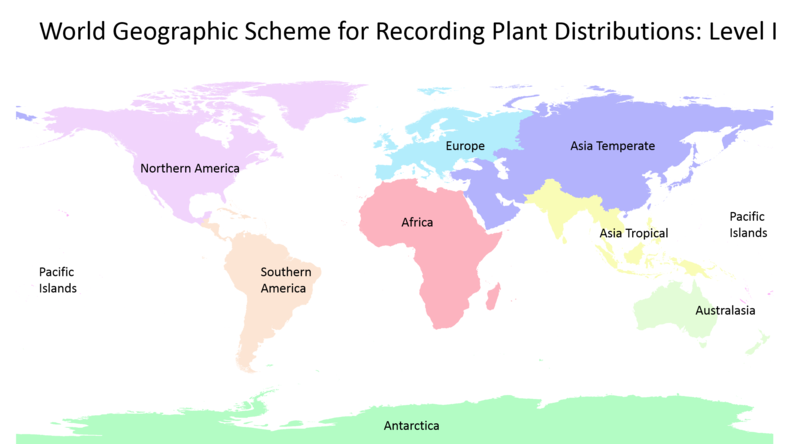 Level 1 (map shown above) divides the world into 9 biogeographic regions. Level 2 (map shown below) divides those regions into sub-regions - and this is the level at which we plan to define traits. Level 3 generally divides regions into countries or (for bigger countries) states or provinces (or whatever sub-jurisdictional term is used). We are not planning to summarize and present trait data at this level, but many field guides adhere to these particular boundaries (e.g., field guides on butterflies of Florida rather than butterflies of the Southeast). Many level 3 regions are not subdivided further, but some are and are shown here. Often field guides and species accounts will provide information to break down regional assessments even at this low level. However, with our current goal to capture the global picture of trait distributions, we will not attempt to break down the information to this level. But we retain the raw data that would allow us to do so. This page links to the level 3-level 4 regions for the scheme.